For Boryana Rossa and Oleg Mavromatti performance is an appeal for active engagement with reality. The works selected for their exhibition at the ICA Gallery, engage with collective and individual identities formed under capitalism within the contexts of local and global politics and development of technology. These are viewed through the prism of contemporary gender theory and practice. In their performances, Rossa and Mavromatti often go through actual physical pain to support their message. 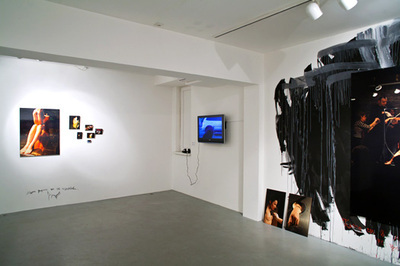 The exhibition presents video and photo documentation of six performances from the last years, staged in Berlin, New York, Amsterdam and Sofia. In Vitruvian Body (2009) Rossa ‘fits’ the proportions of human body, defined by the Roman architect Vitruvius, to criticize the controversial concept of perfection. 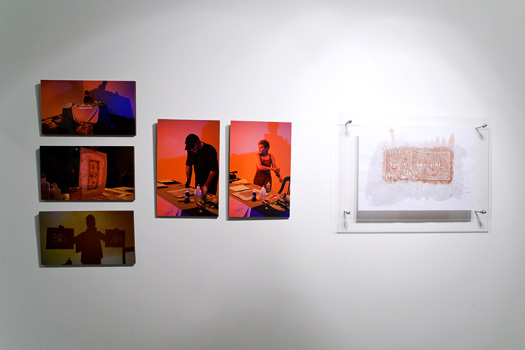 Peoples Servants (2009) is dedicated to Social Darwinism and its projections on society. In Blood Certificate (2009), made in the context of “Performance in Crisis” series at Exit Art Gallery, New York, Rossa and Mavromatti print money while using their own blood as ink. Whole Body (2007) refers to the body as a ‘site’, which determines identity. About the Living and the Dead (2006) is a comment on the representation of violence by the news media. Civil Position (2007), which gave the title of the exhibition, was inspired by a police action on the Eagles’ Bridge in Sofia. 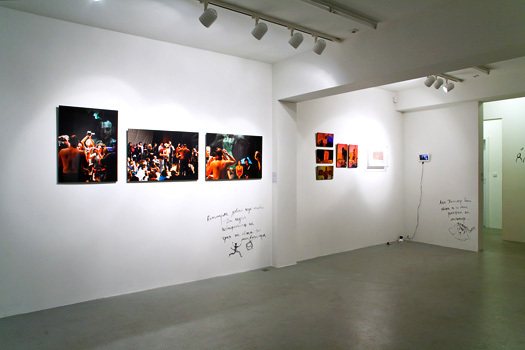 The problem of how to document performance art is central to this exhibition. With the emergence of ever more accessible information and imaging technologies (such as digital photography, video, and the Internet) the process of documentation obtains new forms, including artistic ones. The record (and so the preservation) of ephemeral works, transformed into an art work, is also a research subject of the live performances. Boryana Rossa is an interdisciplinary artist and curator working in the fields of electronic arts, film, video, performance and photography. 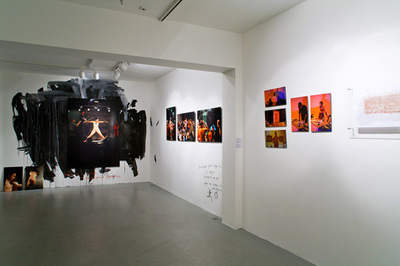 Rossa's performances and other works have been shown internationally at venues such as Steirischer Herbst, Graz; the National Gallery of Art, Sofia; the 1st Balkan Biennale, Thessaloniki; Kunstwerke and Akademie der Kunste, Berlin; the 1st and 2nd Moscow Biennial, Moscow; the Elizabeth A. Sackler Center for Feminist Art at the Brooklyn Museum, NY; Museum of Moden Art, MUMOK, Vienna; Zacheta National Gallery of Art, Warsaw; ICA-Sofia; and Exit Art, NY among others. In 2004 together with the Russian artist and filmmaker Oleg Mavromatti, Rossa established UTRAFUTURO-art collective engaged with issues of technology, science and their social implications. Works by ULTRAFUTURO have been included in the Biennial for Electronic Art, Perth (BEAP) and shown at the Foundation for Art and Creative Technologies (FACT), Liverpool; the Society for Art and Technology (SAT), Montreal and others. 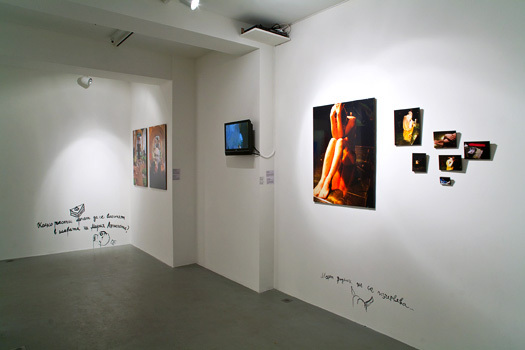 Rossa and Mavromatti also performed as ULTRAFUTURO in Trickster Theatre, Exit Art in New York since 2006. Rossa holds the award Essential Reading for Art Writers of the Institute of Contemporary Art (ICA, Sofia) for 2008. She is currently working on her PhD in Electronic Arts at Rensselaer, Troy, NY on representation of gender in Bulgarian, Soviet and Russian cinema.